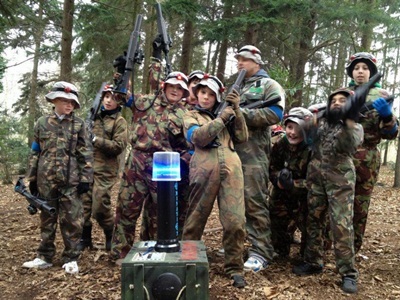 Laser Mayhem is the premier entertainment for young and old people alike, based in South Barrule Plantation. What is it ?What is Laser Mayhem ? PricesHow much is it ? 2 About UsWho are We ? 3 What is it ?What is Laser Mayhem ? 5 PricesHow much is it ? Laser Mayhem, Watertrough Plantation, South Barrule, Isle of Man. Call (07624) 234555 today to book ! Currently we are operating two sessions per day on both Saturdays and Sundays and all school holidays, starting with our morning session 0930-1200 and our afternoon session operating from 1300-1600. 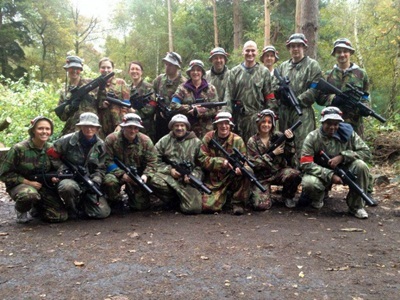 Priced at £20.00pp for a 2.5 hour morning session, and £25.00pp for the extended afternoon session with maze mission (3hrs), both include free half time refreshments. We also have a tented picnic area that you are very welcome to use after your session for your own party food, cake cutting, drinks etc..
Sturdy lace-up footwear or wellies when wet is essential. 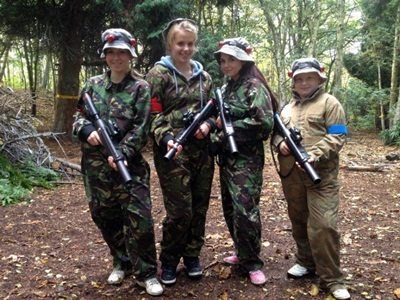 Choice of laser gun - we have little and light UZI 9mm guns for the young ones or our bigger MP5's for the teenagers/adults, and we also have a wide range of Sniper weapons to choose from. A free personalised electronic event or party invite. A free half time refreshments. A free online photo album showing the highlights of your session. 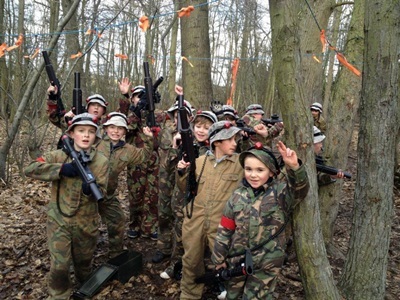 The youngest soldiers that we allow to play are 6 year olds and our eldest player to date has been a Mr Erwin Gelling at 79 years young, we don't allow running within the forest as there are 98 different barriers in which to tactically move and bound between however, please note that our massive mock battlefield is within a large forest where trip hazards are present. Please note that all sessions have to booked in advance by calling the Team on 234 555. 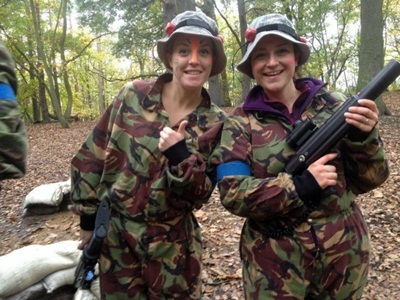 We cater for Birthday Parties for both adults and kids, Hen and Stag do's, Corporate, Works & Social Events. 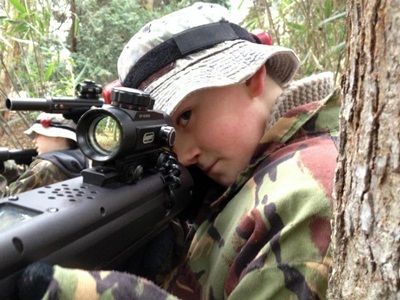 We even operate a Boot Camp on selected days during the Easter and Summer holidays where kids come for the whole day and learn bushcraft, learn to work within a team by building their own Team Headquarters and then their own improvised dens. They then have their packed lunched (not provided) in our own picnic area and then have an entire afternoon playing the full spectrum of our laser-mayhem scenarios incorporating patrols and ambushes. Please feel free to call the team anytime on (07624) 234555 to discuss your requirements, take some details and answer any further questions that you may have. 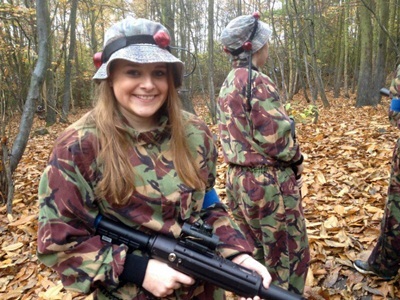 "Had an amazing party for my 18th. 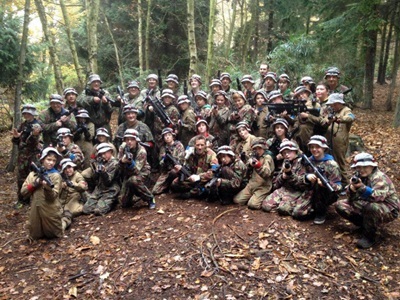 Everyone had a brill time. Thank you to Carl. 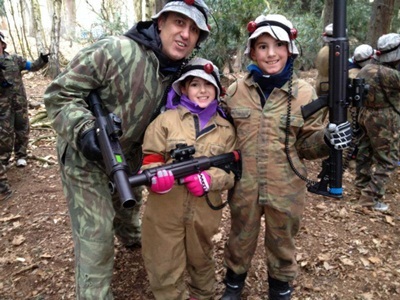 Come and Try Laser Mayhem ! 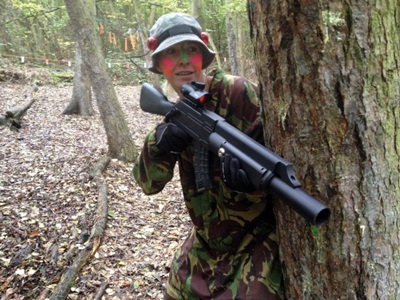 Why not have some fun in the woods today ? Send us an email if you wish to book a place, or alternatively visit our facebook page and send us a message.